Warning: This post contains spoilers for Game of Thrones season six, episode two, which aired at 2am in the UK. If you are waiting for the 9pm repeat, please click back. Game of Thrones has undoubtedly mastered the cliffhanger ending. Between Melisandre’s big twist last episode and well, this episode, Thrones has it down. Have all the people who don’t want to be spoiled disappeared yet? Good. BECAUSE JON SNOW IS BACK AND I FORGOT WHAT ELSE I INTENDED TO WRITE IN THIS REVIEW. Ahem. Something in my throat. After a muted return last week in which nothing much really happened except for the genuinely surprising reveal that the Red Priestess Melisandre is a few centuries old and looks it, I was prepared to write that episode two was much of the same. In a way it was – too many characters and stories that demand attention spread far too thinly, again. We could have a whole series of the show with each of these characters individually, so we’d probably never have enough room, but at least restrict an episode to three or four story lines. In ‘Homeward Bound’ very little happened in Braavos – Arya got another beating and then an offer of residence from the Faceless Men, Meereen – Tyrion made a dragon-empowerment speech and then tried to set them free, and North of Winterfell – where Sansa and Theon shared a very brief but touching moment. 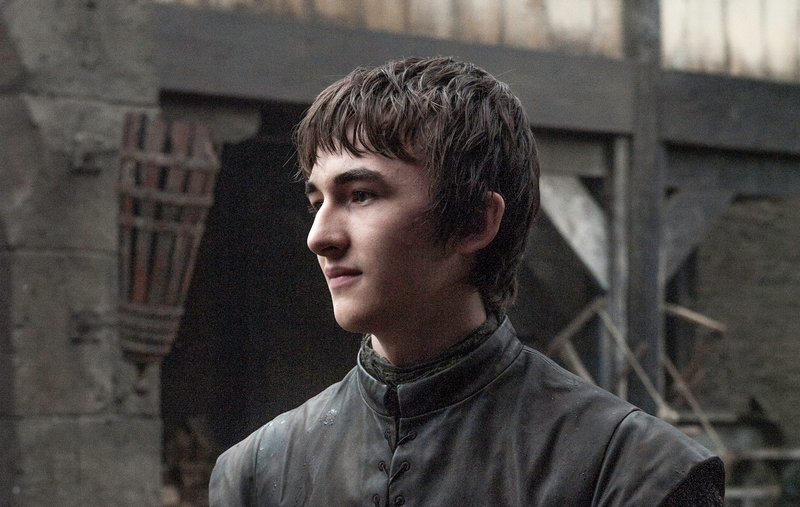 What I was most excited about this episode was Bran’s return – and it did not disappoint. 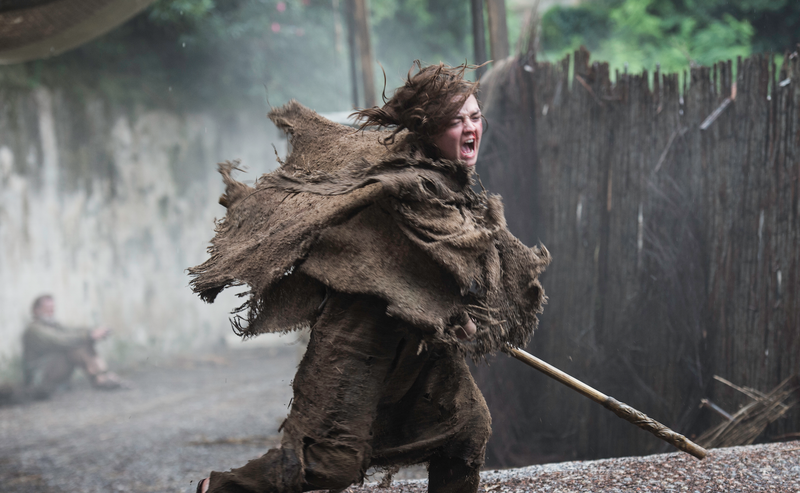 In the first scene of the episode, we see small Stark children training in Winterfell. At first, it looks like Bran of season one, but then we eye grown-up Bran watching over the children. It is a flashback, but it is one starring little Ned and Brendon Stark (and later, their sister Lyanna). Using Bran’s visions is a great way to incorporate the much-needed flashbacks into the series organically, and it looks likely that they will reveal the truth about Jon Snow’s paternity. There’s also a reveal that Hodor was once an intelligent young man like any of his peers. Bran could stay in the vision forever, and frankly I could be there a little longer too, but the Three-Eyed-Raven drags him out. That’s all we get this week, but I wouldn’t be surprised if Bran’s scenes become my favourite parts of season six. There were also some interesting murders in ‘Homeward Bound’ which completely change everything. That sadistic Ramsay Bolton fatally stabs his father after learning Roose had fathered a true born son, meaning Ramsay is no longer the heir to Winterfell. For one horrible moment I thought Game of Thrones would go where Walking Dead will not and have Ramsay kill the baby in his arms, but Ramsay had a better (thankfully off-camera) death planned for his new brother. In the Iron Islands, where most of us cannot remember the names of any of the characters, Balon Greyjoy was pushed off a stormy bridge to his doom by formidable newcomer Euron Greyjoy. Presumably we will learn more about him next week. This means that Theon is returning to his homeland at a time where its leadership is in question. These points all seem trivial, however, in light of what we saw in the dying seconds of the episode. Jon Snow waking up. 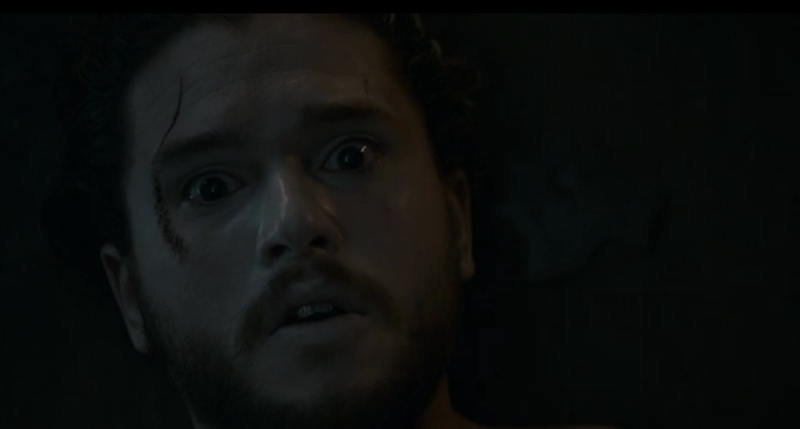 Jon Snow with his eyes open. Jon Snow with Kit Harington’s regular brown eyes – not those of a White Walker. His resurrection went a lot smoother than anyone could anticipate, which makes me very worried. The timely arrival of the Wildlings in Castle Black meant that Davos and his men lived to see another day, and thank goodness for that, because Davos used it to convince a depressed Melisandre to help revive the fallen Lord Commander. Melisandre seemed to have completely lost her faith, and I thought that would be reason alone for a resurrection to fail. But of course, just as it looked like it had failed – everyone had left the room – Jon awoke. What does this mean for the series? Melisandre might need to find another way to interpret her visions. Jon might be a bit wary of retaining his role as Lord Commander, and equally, the other men more wary of him. 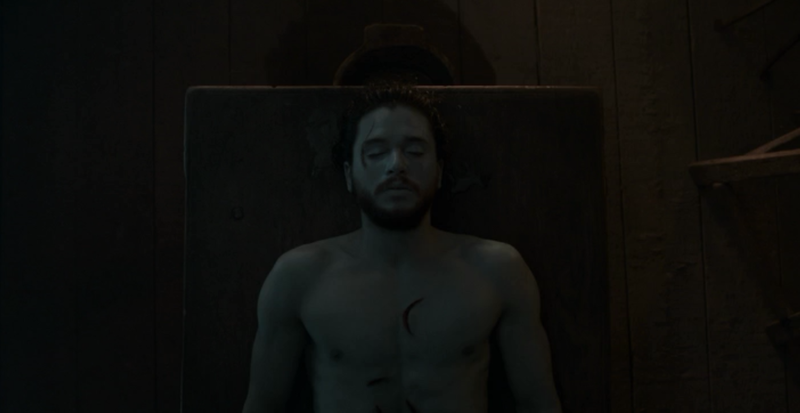 Conveniently, Jon’s death absolves him of his Night’s Watch vows. His outsider-status is not likely to be improved by his being magically revived from the dead, and I can’t be alone in thinking his resurrection was too easy. The big question is what will happen now.